We live on a small patch of earth on the northside of Columbus, OH. 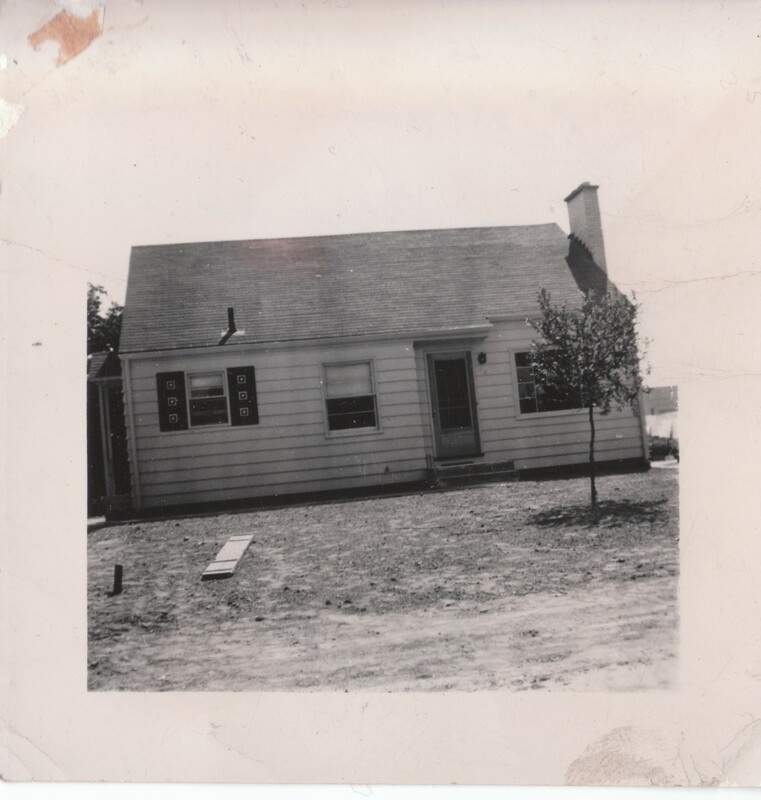 Dan’s grandparents bought the property, and the new house that rest upon it, in 1949. Frank, a postman by day, kept a large kitchen garden out back and gathered apples from a bygone tree while Lenore ran the indoor operation, preserving the fruits of Frank’s labor for winter. In 2005 we took over the tradition when we built a single raised bed for tomatoes, cucumbers, and zucchini. Nearly ten years later, we found ourselves with three raised beds and a cold frame where we were growing a wide variety of greens, onions, tomatoes, and other summer favorites. We have beds dedicated to asparagus, blackberries, and a few grape vines. We experimented with rain harvesting, composting, and tucking herbs, garlic, and greens into our flower beds. You could say we caught the edible landscaping bug. A few years back, our eyes started to wander over the fence and into our neighbor’s flat, south-facing, and totally empty yard. We started to imagine all that we could grow there. That summer’s daydream is now a reality. On Nomember 15, 2013 we bought what we shall forever refer to as “Louise’s House,” and on November 16 we cleared 2,000 square feet of sod to make way for Over the Fence Urban Farm. Over the Fence is dedicated to experimenting with, mastering, and sharing techniques for growing food that promote self-reliance and sustainability, and support our consumption of more fresh and locally harvested food. Toward these ends, our farm serves as a demonstration site for season extension practices, vertical gardening, and permaculture design. We tend this space with our family, friends, and neighbors. Volunteers and visitors gain hands-on opportunities to learn from, and help us build, the project. Through this blog, we hope to inspire others to make more use of whatever space they have, no matter how small, for this purpose. This is amazing! I love this and I want to be a part of it! Please keep me posted on how and when. Thank you for making this happen. It’s inspiring! I wish you good luck and sunshine to nourish your endeavors. Growing and nurturing plants of all kinds is immensely satisfying.